Extending the reach of PlayStation beyond core gamers to the rest of the household. How do you streamline the account registration process to be more family-friendly? 10-Foot UI: The user interface was designed for simplicity and clarity, with low information density. We limited the design elements and ensured that they were large enough and spaced far enough apart to be read from a distance. Navigation: We designed the navigation to accommodate for the PS4’s unique user input, a joystick controller, which is less flexible than a mouse, keyboard or touch input. Parental control: We made it easy for parents to adjust content restrictions while maintaining and monitoring their children’s accounts. Since its 2015 launch, Sony’s PS4 has sold more than 40 million units and continues to be the fastest-selling console in PlayStation history. 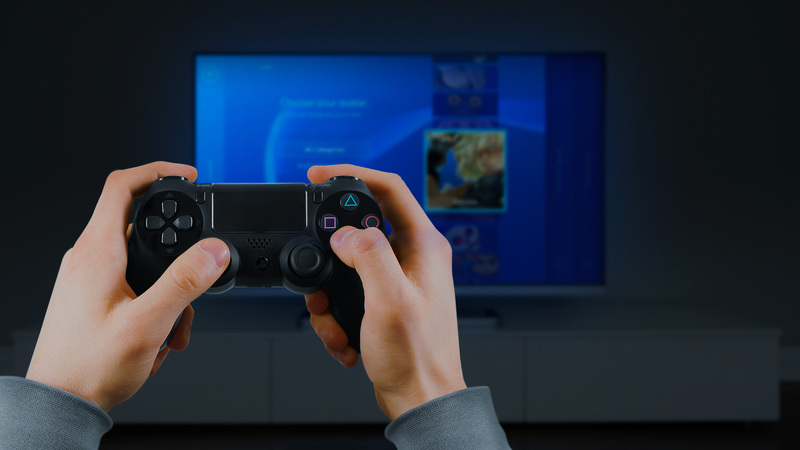 Although it is first and foremost a device for playing video games, the platform has pivoted toward the connected TV device market, challenging industry leaders like AppleTV by offering more multimedia features like internet streaming services and its own entertainment programming. As their target audience shifts beyond traditional gamers, Playstation was looking for a way to reach the rest of the household. In order to engage the entire family, we had to transform the entire onboarding user experience. The current process was fragmented, complex and time-consuming, incorporating over 50 screens and taking up to 15 minutes to complete. Families had no incentive to sign up, so they would share the same individual account, which resulted in an undifferentiated user experience and inaccurate user profile data. We revamped the existing account structure and registration process by integrating it into the existing out-of-box setup experience. This optimized the user flow, and gave us an opportunity to then clearly communicate the benefits of signing up as a family. From offering a social media login to integrating parental control functionality, we reduced the points of friction, educated users on the ability to create multiple accounts and incentivized them to do so. Our design approach was unique in that the interface we were working with was not your conventional desktop or mobile screen. Since the PS4 console is used for home entertainment, we designed a 10-foot user interface to accommodate for large televisions so all elements could be easily read from a distance. This results in an intuitive layout that balances technical functionality and visual elements to make sure the user’s interactions are as simple and efficient as possible. Instead of a hand-held remote control or mouse, a unique joystick controller powers the PS4 so we had to design our own prototype to make sure the input was fully operational with the rest of the system. By reducing the number of screens and time spent registering in half, we were able to create an onboarding experience that seamlessly guides users of all technical abilities. 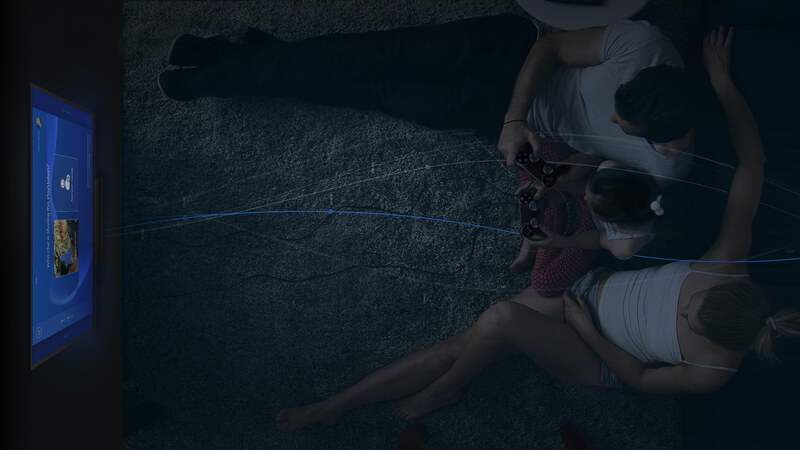 Since entire households are no longer using one account, Sony has more accurate user profiles and can then deliver a more personalized and differentiated experience. 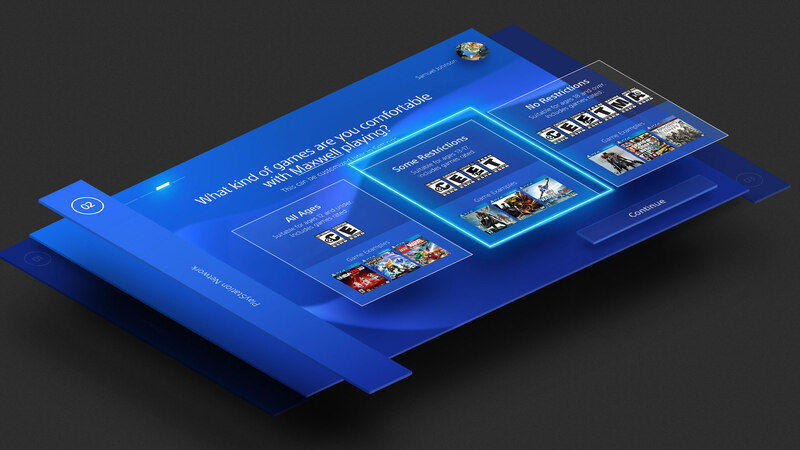 With the ability to serve up more relevant recommendations for content and games, PlayStation is reaching a larger target base while increasing user engagement on the platform.